Background And History | Trienekens (Sarawak) Sdn. Bhd. 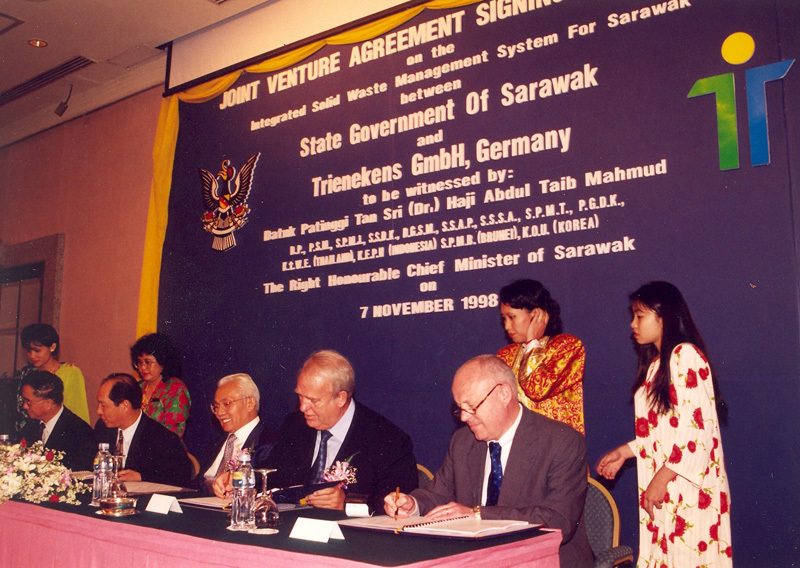 On 7 November 1998, Trienekens GmbH of Germany and Sarawak Incorporated Sdn. Bhd. signed a joint venture agreement to implement an Integrated Waste Management System (IWMS) in Sarawak. This led to the formation of a joint venture company, Sarawak Wastes Management Sdn. Bhd. (SWM), the concession holder for the State’s IWMS. Trienekens (Sarawak) Sdn. Bhd. was incorporated on the 8th of June 1999 as the operating company to develop, implement and operate the Integrated Waste Management System (IWMS); operations commenced in June 2000.